Call for an Appointment and Quote Today! Ed's Landscaping designs and installs: driveways, walkways, patios, pools and pool decks, outdoor kitchens and living spaces with a variety of materials. We will work with you on all stages of your landscaping project, from consultation on the design to completion of the installation. Whatever your vision for your deck, patio, pool, water features, landscape, lighting system, shade structure, garden wall, plantings we will work with you to create your dream landscape. Driveways, Walkways, Patios, Pool Decks, Outdoor Living Spaces, there are so many beautiful material options available to create your dream landscape design. For examples of materials available please check out the links from our vendors below. Ed's Landscaping designs and installs all types of fence, arbors, patio covers, decks. Ed's Landscaping is a full service landscaping company. As part of your landscaping design, water conservation efforts, or just refreshing of an existing landscape, we can replace existing lawns with grass or synthetic sod, replace plants, shrubs and trees. For a new look we can refresh your landscape by replacing plant, shrubs and trees. Ed's Landscaping can create a beautiful water conserving or drought tolerant landscape design and recommend plants that can hold up to the long sunny days and don't need a lot of watering. Now that you have the beautiful landscape you had dreamed about you want to keep it that way. Let us help you maintain it. We provide lawn and garden maintanence services. Who better to look after your landscape than the people who created with you! Fast, friendly service for over 40 years . 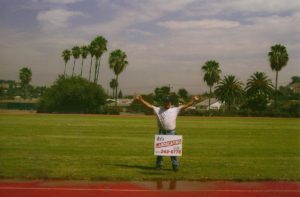 . .
Ed's Landscaping is a family owned and operated, Full Service landscaping company serving the the Burbank, Glendale, Pasadena and greater Los Angeles area for over 40 years. When we say we are "Full Service", we mean it. From General Landscaping & Maintenance, to Swimming Pools & Deck Installation. We offer almost everything you can imagine for your landscaping project. Please take a moment to review our services, and look over our project photo gallery. Our objective is to provide our customers with the landscape of their dreams! We promise you fast, friendly, and professional service. That is why we stand behind our work with a guarantee and a two year warranty on all irrigation work. Give Ed's Landscaping a call TODAY and experience our fast, friendly service! We can help you bring your dream landscape, driveway, patio, pool, lawn, garden, outdoor living area...to life!